To help you take advantage of all of ASMP’s resources and gain the highest possible return on your membership, we have summarized the key advantages below. All Professional Members get a listing in ASMP’s popular Find A Photographer database, www.FindaPhotographer.org. This newly updated searchable directory is now available as an iPhone app that is widely promoted to bring clients directly to your doorstep. If you haven’t updated your contact information and uploaded new images, do it now! And, if you have several areas of specialization, FAP allows participating members to set up additional image portfolios that come up every time a buyer searches for a particular specialty. We encourage you to use FAP as a powerful tool for getting new business. ASMP is the known leader in business education for professional photographers and your membership entitles you to major discounts on all of our seminars. These topical, real-world programs feature working photographers sharing valuable information that can be used immediately. ASMP is continually evaluating offerings and adding new ones of interest, so be on the lookout for seminars in your area. In addition, ASMP’s website provides specific, detailed ‘how-to’ information about vital issues like copyright, model & property releases, terms & conditions for estimates and invoices, and how to license photographs. It’s all there for the taking. ASMP has established itself as an influential voice in the industry, representing your interests daily on Capitol Hill, in the courts and in the business world. Our active advocacy efforts protect your rights in precedent-setting legal battles on such topics as orphan works, copyright and social media terms of service. In this changing digital world, ASMP maintains key contacts to keep apprised of new developments and works with representatives from Congress, the legal community, and other organizations to stand up for the issues that matter most to professional photographers. By being an ASMP Member, you have a strong advocate and a powerful voice. Connecting with other photographers is a huge benefit of ASMP membership. Our 39 chapters across the country provide a way to establish connections and friendships in your community and, through ASMP’s specialty groups, listservs and social networking sites, you can connect with professionals of similar interests or specialties from around the country — and the world. The more active you are in your Chapter and on line, the faster and stronger your network will grow. ASMP is photographers helping photographers. The right insurance can keep your business going even if catastrophe strikes. Taylor & Taylor offers ASMP members a commercial insurance plan, Prosurance, designed specifically for professional photographers. ASMP works with a number of companies to provide a broad range of coverage to address the needs of working photographers. Take advantage of these important offers before you need them. When you have a question about your business or need advice on a pressing issue, help is just a phone call — or an email — away. ASMP’s dedicated and experienced staff is an invaluable resource which Members can call upon for advice and consultation. Members who have taken advantage of staff expertise tell us they are glad they did. Our extensive discount program offers you money-saving opportunities on the products and services your business needs. To get the most up-to-date information on all of ASMP’s special offers and discounts on computers, software, business products, subscriptions and many other services of interest, visit www.asmp.org/benefits. Over the past several years, we have accomplished a number of important goals to improve services for our members. Though we hope you’ll be impressed with our significant accomplishments, we have much more planned for the future! Our main website, www.asmp.org is frequently updated with new or revised reference resources.  At the local level, ASMP activities and alliances are supported by the websites of our 39 chapters. We have expanded our on-line communities, and ASMP is now active on Facebook, Twitter and LinkedIn, in addition to our ASMP specialty listservs. Now you can read all of ASMP’s happenings monthly in the ASMP News, an e-newsletter that has everything from breaking issues to member benefits categorized and easy to read. Find A Photographer is being promoted through e-mailings, print ads and on-line banners. And, now there’s an iPhone app to make FAP even more accessible! ASMP’s professional education work includes a series of seminars given by experts in the field, and the Strictly Business blog written by a group of experienced and successful photographers. Education videos are available on the blog or at the iTunes store. ASMP has been actively engaged in the Orphan Works legislative processby participating in congressional closed-door discussions, testifying before various congressional committees, and working closely with Senate and House staffers to make meaningful contributions to proposed legislation. For more info go to www.asmp.org/orphanworks. ASMP has been a leader in the Google Book Settlement case. We have filed court documents and have personally expressed our concerns to the Department of Justice. You can read our position statement, press release and court documents at www.asmp.org/google. ASMP continues to work vigorously with the Copyright Office to improve and streamline the registration process. Our Registration ©ounts initiative creates awareness of copyright issues and encourages all photographers to register their work. ASMP has maintained an important presence at conferences and seminars nationally and internationally, establishing ASMP as a primary information resource within the industry. Look for us at events such as PhotoPlus Expo, WPPI, SPE, PACA, PictureHouse, the Atlanta Photojournalism Seminar and more. ASMP provides the tools, support and information you need to achieve and sustain your business goals. We invite you to become an active and involved ASMP member!